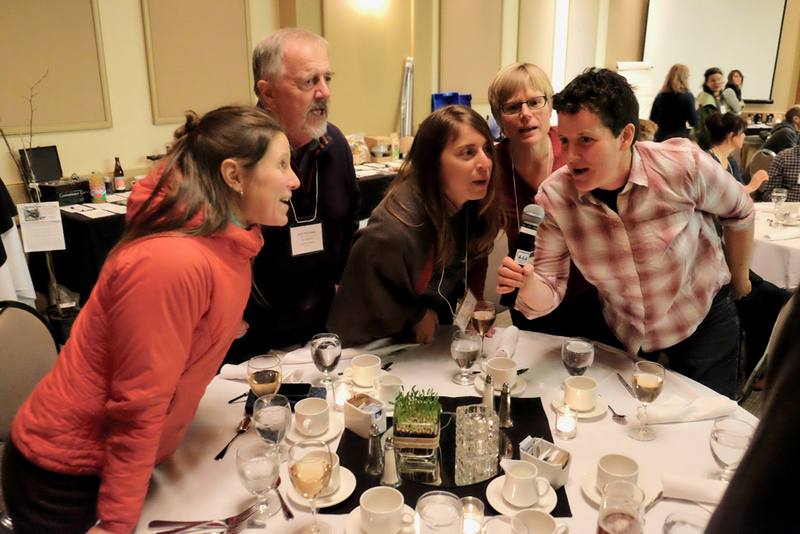 One thing that struck me about this year’s annual COABC conference was the high level of engagement and the cohesiveness of the organic community. 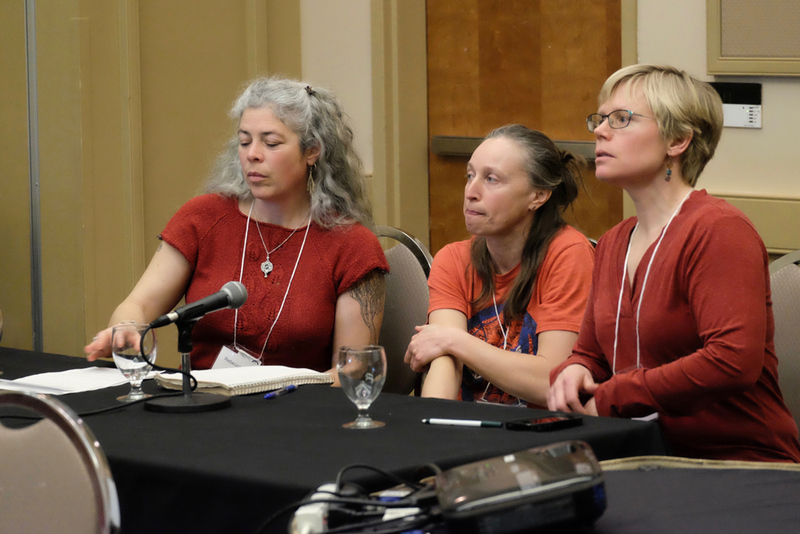 This year’s theme was “Bioregionalism: Resilience in a Changing Climate,” and the organic farmers and friends who showed up to learn, share, and connect with community brought so much attentiveness and presence to the conversation. We also had an incredible array of speakers and workshop presenters who co-created an inspiring weekend for the organic community in B.C. 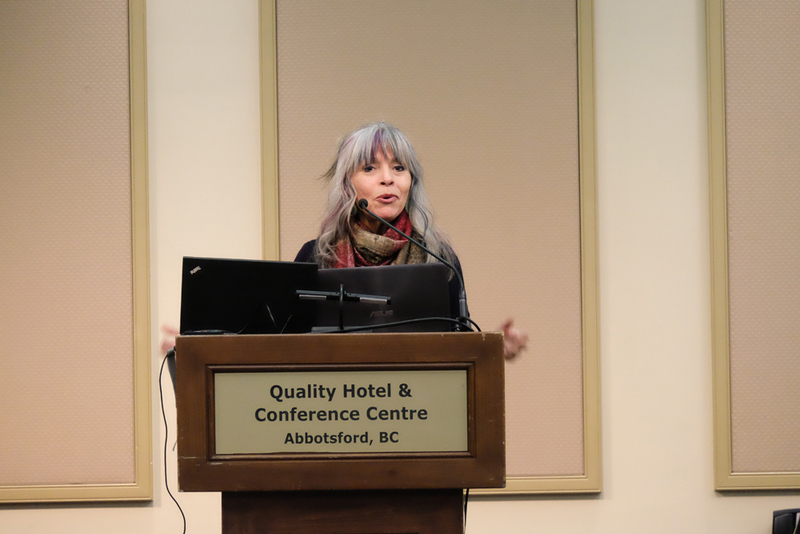 Dawn Morrison, celebrated Indigenous food sovereignty activist from Secwepemc territory, kindled the fire for our weekend conference during her Friday keynote speech. Dawn is Director of the Working Group on Indigenous Food Sovereignty and during her address, she generously shared Original Instructions from her Elders and teachers about the importance of food and access to land and foodsheds with a crowd of keen organic farmers. I found Dawn’s speech moving on many levels—what really struck me was her kind and candid approach to the issues we all face after a long legacy of colonization and genocide of Indigenous peoples. As a settler myself, I often feel overwhelmed by the enormity of the issues I have faced as a “landowner” and a farmer on stolen land. How do I reconcile myself with the fact that, as a farmer, I need secure access to land to produce food, and that, as a settler, I benefit from the theft of Indigenous lands? How do I succeed as a farmer and decolonize my relationship to this land; acknowledge past wrongs and take action to heal them? There are no easy answers to these questions—and throughout the weekend, Dawn, and Rebecca Kneen, who co-facilitated a Saturday session with Dawn, encouraged us to stay in our discomfort. We can have amazing dialogues and find incredible common ground from a place of questioning and seeking new answers. A practical suggestion from Dawn had me reconsidering my approach to farming—she urged the farmers in the room to stop using the word “product” to describe food. Food is sustenance first, and all living things are related. 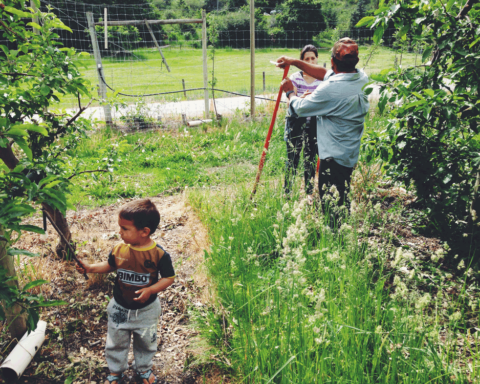 Honouring the necessity of food for life, the energetic qualities of food (grown organically, with care and the best inputs) is something food growers in this community can understand in day-to-day life. That’s why we are a part of this movement. Kent gave a passionate plug for young and upcoming farmers—yes, those infamous Millennials! 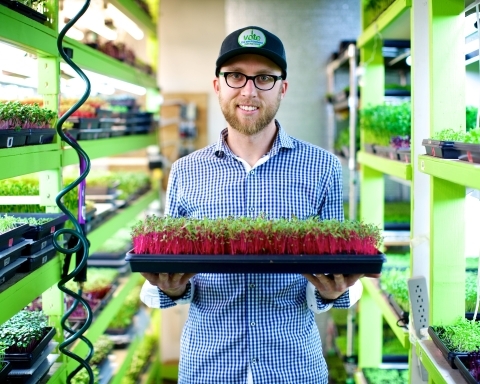 It was inspiring to hear his take on the drive and ingenuity of this generation based on his direct experience working with young farmers enrolled in Kwantlen Polytechnic University’s Sustainable Agriculture Program. In fact, we had a number of KPU students in attendance over the weekend. 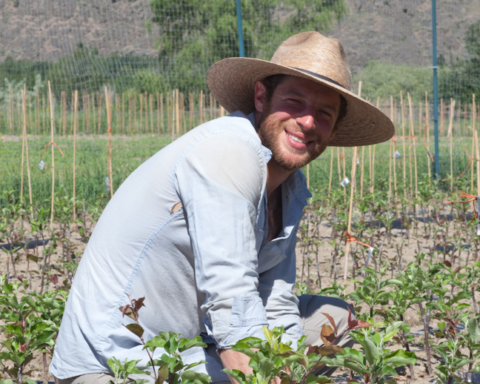 Kent focused on the role of organic agriculture in the years to come, outlining key strategies to continuing the movement and building a larger sustainable agroecological movement. He urged us to continue our work to remain credible and build trust in society for organics, and to focus on the family farm—however we might define our family units! Kent also outlined some very strong arguments for the decommodification of agricultural land in BC. These points are summed up nicely in a recent CBC article. 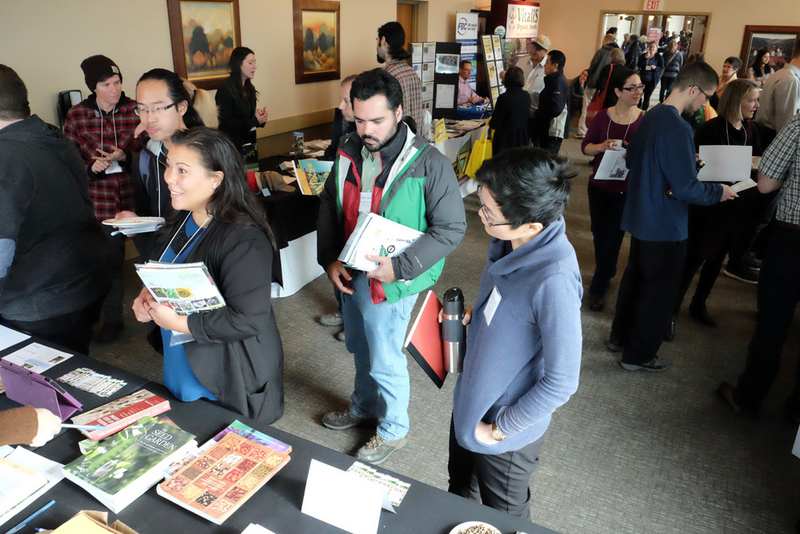 The Trade Show was bursting with seeds, info, and tools! This year’s Brad Reid Award winner was Rebecca Kneen. Rebecca was honoured for her outstanding contributions to the organic community, her social and environmentally-minded approach to business, and for coming up with really excellent names for craft beers like Backhand of God and Insurrection IPA. Rebecca is co-owner of Crannóg Ales and Left Fields, a farm and microbrewery in Sorrento on Shuswap Lake. She has served as a director of PACS, NOOA and the COABC, put in several years on the COABC Standards Review Committee, and currently serves on the Certification Committee for NOOA as well as being the BC representative to the Organic Federation of Canada. 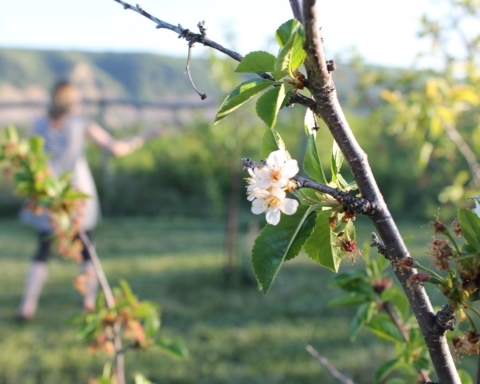 Rebecca also worked with her late mother, Cathleen Kneen on the editorial/design team for the BC Organic Grower! Rebecca grew up on a commercial (non-organic) sheep farm in Nova Scotia, then wandered about Canada working on various farms and for arts and social justice groups for several years after completing her BA. 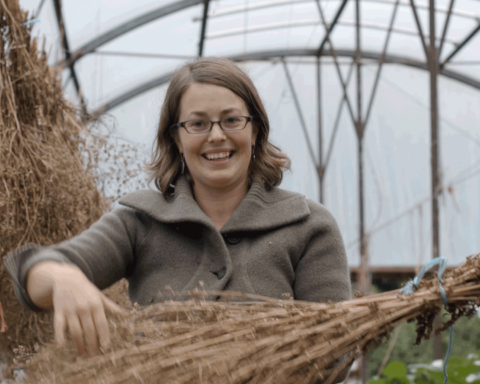 She has worked with FarmFolk/CityFolk in Vancouver organizing the Feast of Fields. 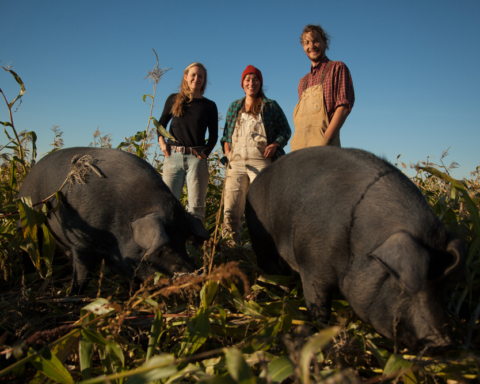 Left Fields is 10 acres of mixed production, in hops, house garden/orchard, Icelandic sheep, and pigs—and is also the primary land base for Stellar Seeds. Rebecca’s family background is in food policy and community organizing (Brewster and Cathleen Kneen, the Ram’s Horn), and her interests are primarily in sustainable food production and social justice, as well as fibre arts (spinning, knitting, felting), culinary/brewing arts, and feminist science fiction. Rebecca has also been providing leadership in the organic community around creating understanding around Indigenous Food Sovereignty and Indigenous rights. Crannóg Ales was the first exclusively organic brewery in BC, and has been certified since opening in 2000. 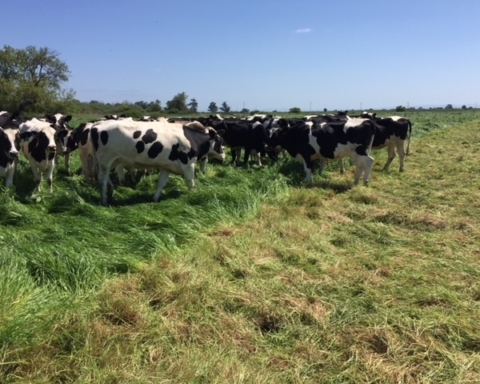 It is also a zero-waste system, with everything (except one bag of garbage a week) being recycled or re-used on the farm, from wastewater to spent grains. 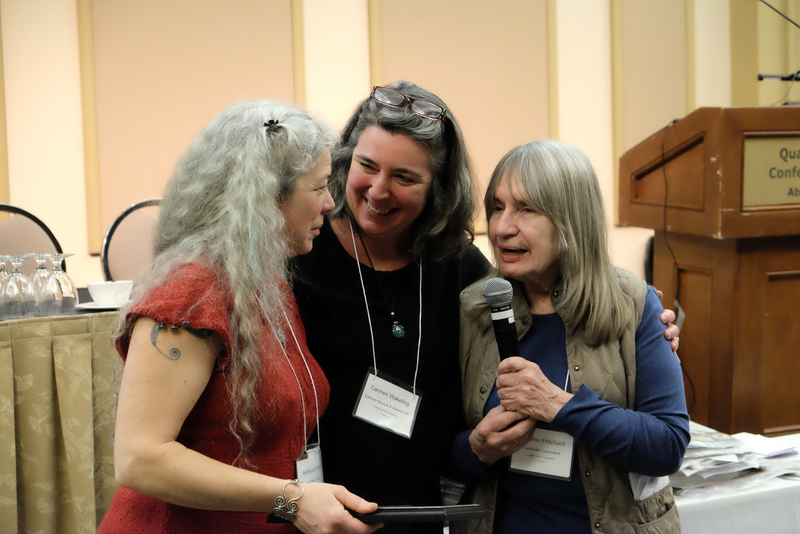 We’d like to offer congratulations to Rebecca for receiving this award, and our heartfelt thanks for all she has done to support the organic community over the years! 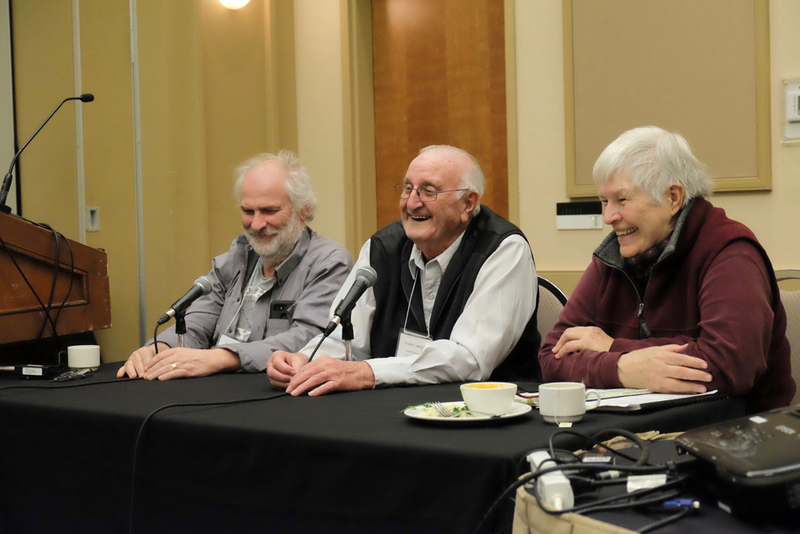 The ALR Roundtable focused in on food growers’ stories about farmland challenges, and discussion of practical solutions that the ALC could adopt to deal with rising farmland prices and decreased access to farmland for farmers. Ensure market rental rates when land is leased for farm use. Concentrate on saving land from development. The Home Plate: limit footprint of housing to a certain number of square feet or a percentage of total land area. Raise property taxes when farmland is not being used for agriculture. Require potential buyers of agricultural land to present a farm business plan. 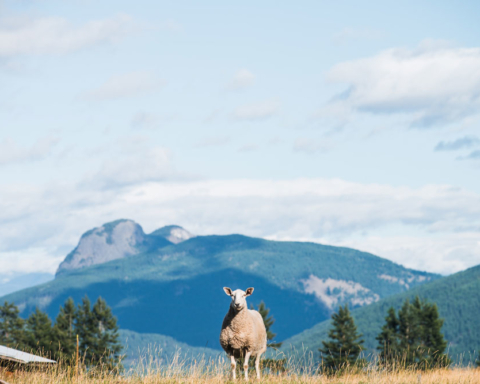 These measures could really add up to increasing access to farmer access to agricultural land, and increase the number of farmers and profitability of farm operations in BC. Agree? Disagree? It’s time to have your say on the ALR, and if you haven’t already, please be sure to submit comments or fill out the survey prepared by the Minister’s Advisory Committee on the ALR by April 30. Darcy Smith and Jen Gamble gave us an exciting sneak preview into the Organic Online System. The OOS session was great for identifying a few glitches and helping the team to identify some additional user needs and functional improvements. 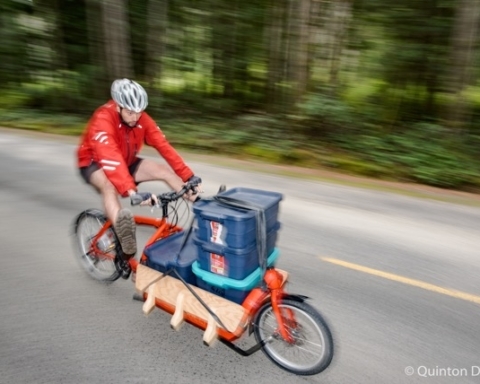 Hooray for crowdsourcing farmer ideas! The OOS is really going to help streamline organic applications of new applicants. 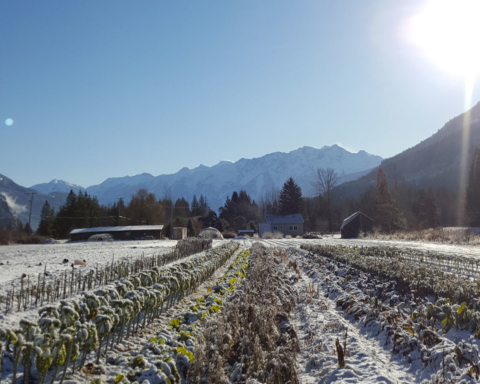 While long time farm operators may find the transition a bit challenging at first, the takeaway I got from this session is that the online system is long overdue and will improve the resilience and accessibility of organic certification in B.C. One final highlight from the conference was the unveiling of the COABC BC Organic Strategic Plan by COABC President Carmen Wakeling and Executive Director, Jen Gamble. The November 2017 planning session produced a simple, streamlined strategic plan with 4 high level goals. Want to get with the program? 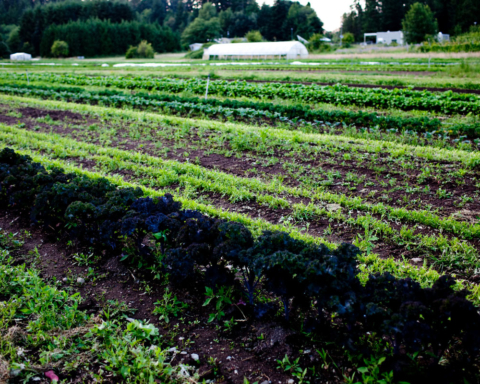 Find out more on the BC Organic Strategic Plan. I am always blown away by the incredible community we are all a part of. 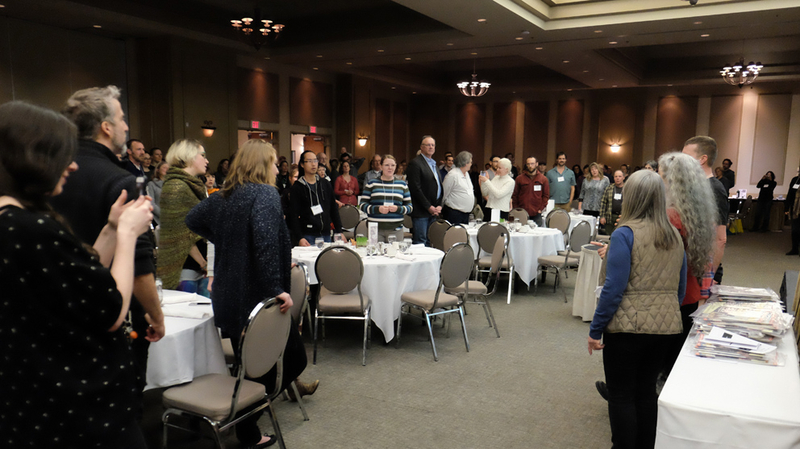 This year’s conference was no exception—new babies and snowstorms in the Lower Mainland meant that a number of presenters were unable to make it to the conference, and people stepped up at a moment’s notice to fill those workshop sessions with rich content and thoughtful discussions. What a testament to the knowledge and giving spirit in the room. This year’s silent auction, organized by Natalie Forstbauer, was a record breaking success. 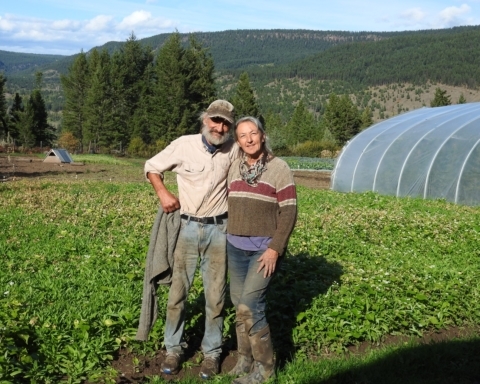 Together, we raised almost $5,000 that goes directly back into COABC and growing BC organics. 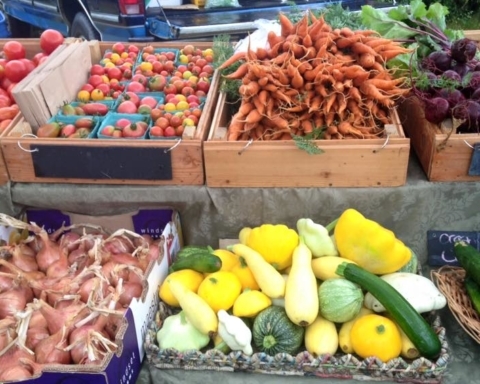 COABC exists because of the ongoing participation and support of the organic community, and this year’s silent auction was an amazing show of support from that community. We hope you enjoy your silent auction godies—also sourced mostly from within our ranks. Finally, I think I can safely speak on behalf of all of us in thanking Jesse Johnston-Hill for her enormous effort organizing this year’s COABC gathering. It was a really wonderful weekend full of amazing takeaways to inspire us all for the coming season. Thank you for all of your hard work, Jesse! Photo Credits: Thank you Michael Marrapese for capturing the weekend in photos and sharing them with us for this recap!